Our team here at Magnetic North Travel is passionate about holidays in Scandinavia, the Nordic countries, Canada and the Magnetic North. As a specialist tour operator in the Nordic region, Scandinavia and Canada, we're able to offer destination expertise in designing and supporting your trip. A honeymoon in Sweden and Denmark began a love affair with all things Scandinavia. Laura has always had an excuse to travel. While studying languages at university, Laura spent a year in Russia and France before working in the travel industry and hearing the call of the North in 2009. Laura set up Magnetic North Travel soon after and has grown the business since then along with her family where her two children provide yet more reasons to seek adventure. A bus tour along the East Coast of Australia was the beginning of James’ adventure in travel and he hasn’t looked back since. With over 20 years’ experience in the travel industry, he has had the pleasure of selecting exciting experiences from countries around the world for clients to enjoy but his favourite country, among all others, remains the vast wilderness and vibrant cities of Canada. An avid ice hockey fan and passion for all things winter, James prefers the thrill of the slopes and a snowshoe hike to basking on the beach. James is Magnetic North's product manager. 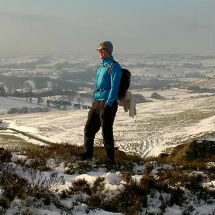 Matthew caught the travel bug after spending a year in Canada, falling in love with the amazing scenery and wildlife. After studying at Lincoln University, Matthew travelled again before starting work in the travel industry. Matthew has over 6 years of experience in the travel industry providing complex itineraries. 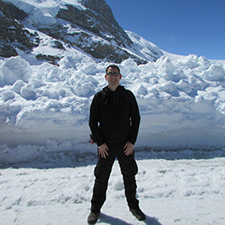 He is very excited to be working as the Canada and Alaska specialist at Magnetic North Travel and is looking forward to creating perfect trips for his clients. Angela has over 15 years experience in providing luxury travel experiences to discerning clients. Angela instinctively understands what’s important to our clients and ensures that they are looked after from enquiry to returning from their holiday. 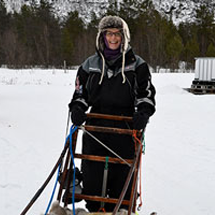 Since working at Magnetic North Travel, Angela has quickly developed a passion for Scandinavia and is also mad about the husky dogs having already travelled to Norway on several occasions. Elin grew up in the countryside outside of Gothenburg in Sweden. She quickly developed a passion for travel after a year working in America before moving to Karlstad in Sweden where she studied tourism. Three years and one semester in Coventry later Elin knew she wanted to share her passion for Sweden and Scandinavia with others. The Swedish west coast is a place close to her heart because of the beautiful archipelago and her love of the region's fresh seafood. 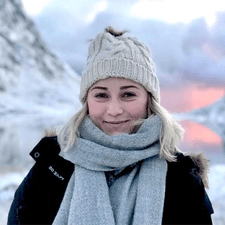 Annie has been lucky enough to call the Lofoten Islands of Norway home until recently moving to the UK to join the Magnetic North team. She brings with her a wealth of knowledge of her native country, experience in the hotel business and a string of academic achievements in tourism studies. 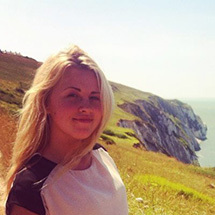 Annie speaks fluent English and loves combining her love of travel with her day job. Vanessa's travel bug began immediately after her studies in Germany, when she packed her bags and travelled solo to New Zealand and Australia. 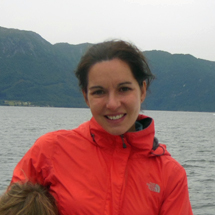 Returning to Europe, Vanessa has been living and studying in the Netherlands and the UK since then. As a student of International Communication Management, Vanessa specialises in corporate communication and social media and looks after social media and online marketing for Magnetic North Travel. Next stop on her travel list is Iceland where two of her favourite things can be found in one place: Icelandic horses and waterfalls. Zoe is Magnetic North's "rock" providing administrative and operational support to the sales team. Zoe met Magnetic North's founder in a former life when they worked for a tourist board. 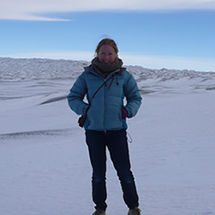 Several years later, Zoe began working at Magnetic North having also discovered Scandinavia herself whilst travelling with her adventure-seeking family.